Through the past five years, the hotel industry has managed to embrace mobile, going from concierge apps and room iPads to comprehensive apps for hotels. Booking, services, communication — a well-built hotel app continuously improves a hotel experience in all key areas, regardless of how big the hotel chain is. From Hilton and Marriott to Four Seasons and Wynn, take a look at the most essential apps for hotels below. Celebrating its 100th birthday in 2019, the world-class hotel group of Hilton Hotels & Resorts ensure the comfort of their guests at every point of the customer journey. This includes their Hilton Honors application available for Android and iOS (including Apple Watch and iPad). Eye-pleasing and intuitive, the app allows the users to book rooms in over 4,660 hotels and offers a wide variety of useful features. Gamification: guests earn Hilton Honors Points by staying at any Hilton hotel and spending with Hilton’s partners to get free stays. 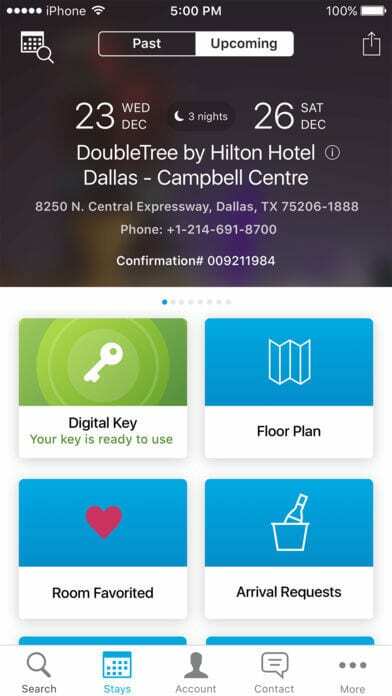 Digital key: guests can use their smartphones to open rooms at over 550 Hilton group hotels. 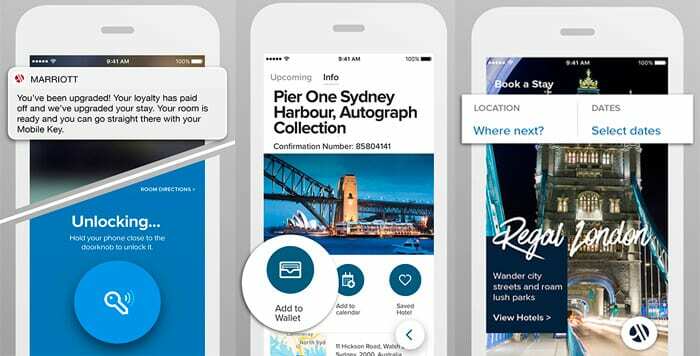 Feedback: the app offers the guests to leave feedback and access hotel receipts in the app. The list of features extends to maps, directions, weather updates, and many other digital commodities. As far as apps for hotels go, Hilton Honors is an example of a comprehensive mobile experience that effectively extends Hilton’s promise of comfort. 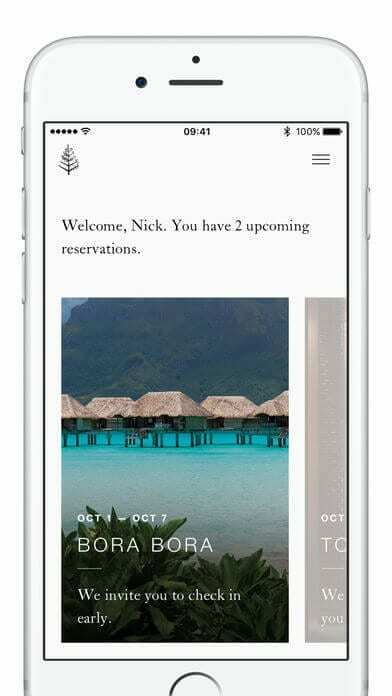 — booking and reservations, loyalty points, in-app services, and other features. The hotel’s guests can quickly check in using the app and access their rooms with in-app digital key. Going further, Marriott’s app is also available in all of the chain’s 4,400 hotels. Still, Marriott’s hotel experience is more mobile-driven than Hilton’s. Push notifications. Marriott constantly keeps their guests informed with useful information regarding the stay. Anything Else feature. The app has a Live chat option that instantly connects the guests with the hotel staff before, during, and after the stay. Anything Else has become popular with 80 percent of the guests — a solid example of how a simple feature can gradually improve a hotel experience. More so, it contributes to creating a wholesome, impactful mobile experience along with other mobile features. Established French hotel group AccorHotels is also using mobile effectively. 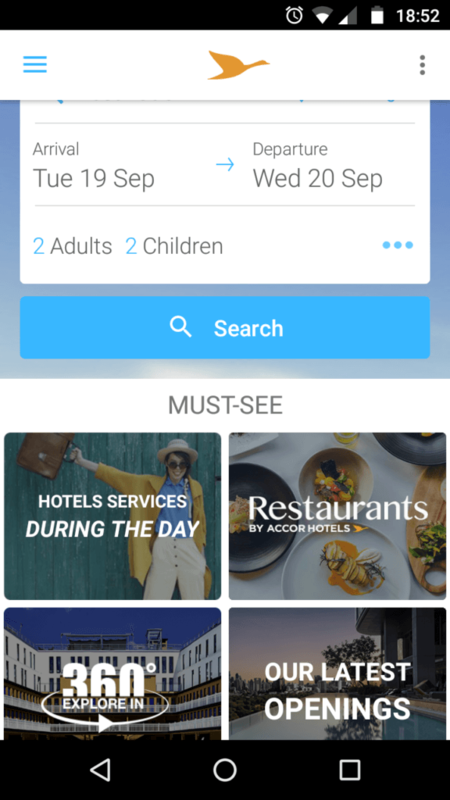 Available in 4,100 hotels of the fifty year old brand, the AccorHotels app makes booking effortless with a multitude of features, as well as ensures a higher level of comfort with various digital commodities. In part, this is achieved by the decision to integrate popular services into the app. Contacting staff in one click by telephone or e-mail. Wipolo integration (a travel service that converges all travel information, like flight and hotel details, in one place). Free Press Reader access over hotel Wi-Fi. The AccorHotels app offers a lot other features to ensure a comfortable stay, including online check-ins, information about the hotel services, in-app booking management, weather information, and more. When it comes to hotels and resorts, the number of app features and the overall mobile experience depends on how big is the hotel chain and the extent to which a hotel’s guests want mobile tech in their hotel experience. Therefore, some hotels still postpone going mobile, or opt for simpler apps for hotels. With 100 locations all over the world, the renowned Canadian hotel group Four Seasons picked out the following features for their hotel app. In-app chat in selected locations. Customisable housekeeping services and amenities. Ordering food to rooms, making restaurant reservations. 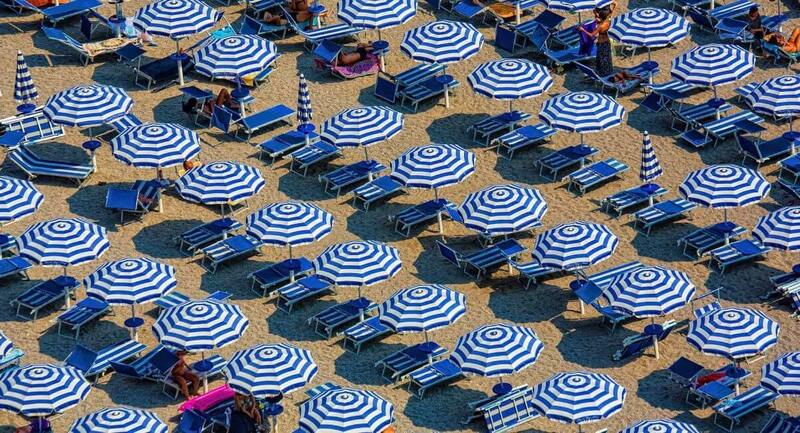 Making and managing reservations at all hotels of the chain. On the other hand, the award winning Wynn Las Vegas and Encore — being a stand alone resort — went with a stripped-down hotel app: it offers a wide array of booking options and serves as a comprehensive digital booklet for the guests. The guests can book rooms and spa treatment in the app, access the interactive map, and learn about the hotel services and news. 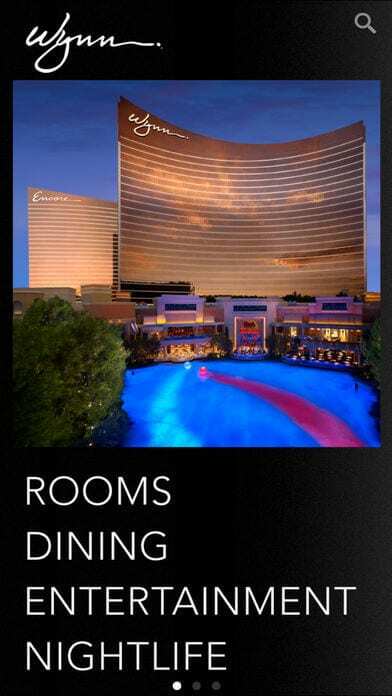 As Wynn Las Vegas and Encore has a lot to offer in entertainment, relaxation, and leisure, the app becomes a useful addition to Wynn’s rich hotel experience, providing additional comfort to the guests. 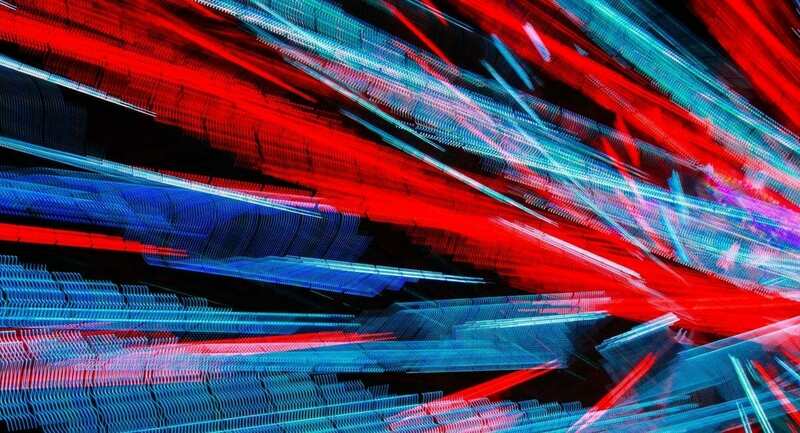 If you want to streamline the continuous improvement of your hotel experience with impactful software, get in touch with us, and we can get started with your project at short notice.